Loving me some black, white and gold together nowadays. Sorry, I was absent yesterday, and late today. Things have been interesting lately. I've got some things cooking right now, and I will be letting you in on the secret very soon. But, for now, patience. Have a lovely rest of the day! I have been drawn to this color palette as well recently. Chic and fabulous. I love, love, love this color combination. I have decorated my apartment in this color scheme. It seems I cannot get enough of gold and beautiful brass. Love this palette too! You should check out this bold black & white stripe geometric pillow..
You had me at black white and gold....j'adore! Can;t wait for you to reveal your secret xoxo. The use of white, gold and black furniture in decorating can create a stunning and dramatic decor. This gives a fresh, clean, and unquestionably sophisticated and elegant look to any room. Most of all, it creates a style that's classic and simple. 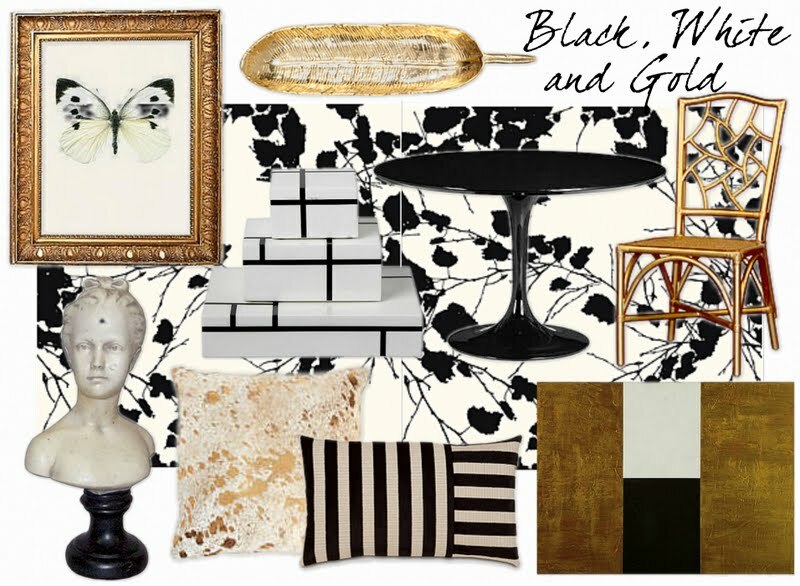 Black and White are fabulous, and when you combine it with a gold, that is magnificent! I love black and white combination mostly in stripes color it's like a Yin and a Yang. Spot on...loving these pillows and well everything about this color palette screams Luxe! I'm loving it...great mood board. I'm adding you to my blog roll...always enjoy your post! Totally into gold these days. Can't wait to hear your news.